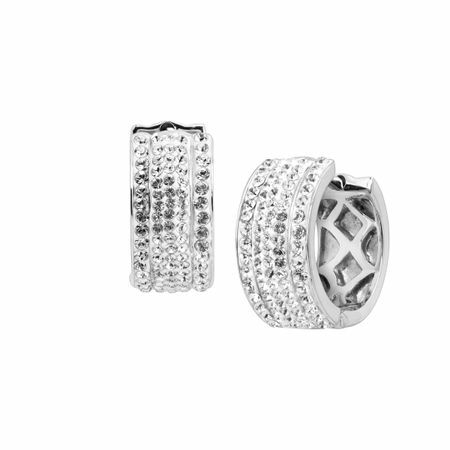 Bring a new staple to your jewelry box with these wide huggie hoop earrings. A sparkle so bright can only mean one thing, Swarovski crystals! Crystal everywhere is the theme for these band hoops with their five rows of pavé-set round-cut Swarovski crystals front and sleek back. These earrings are crafted in sterling silver and completed with hidden snap posts. Pieces measure 5/8 by 5/16 inches.